This classic crystal whisky tumbler has a classic stylish design and a substantial weighty feel in the hand, making it an ideal glass for your favourite whisky, be it a blend or a single malt. 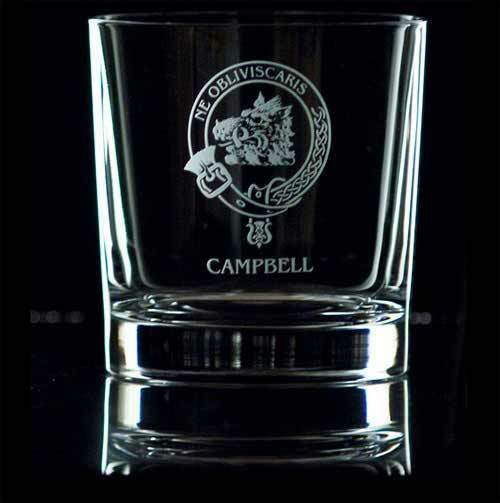 This attractive whisky glass is superbly engraved with the crest, motto and the name of the Clan to which you belong. Would make a fantastic gift for the whisky drinker who is proud of their family heritage. Crystal whisky glasses are available for the major Clans of Scotland and are also suitable for the many Scottish family surnames, or septs, which have Clan connections. Supplied in an attractive gift carton. • This glass is engraved to order. I am very pleased with my Shaw tumblers - makes my whisky taste much better! Reviewed by Rich Douglas - Goodyear, AZ. Classic design crystal Scotch glass with a sturdy feel and a solid base. A perfect glass for sipping my Glenlivet. Love the Douglas crest and motto engraving. I will be ordering another set for gifts this Xmas. I am somewhat apprehensive when buying goods over the net, however I really wanted the Cameron crystal whisky glasses for a family get-together, so I went ahead and ordered. The parcel arrived after two weeks, happily it was well packaged and the glasses were intact. I am impressed with the service and the quality of the glasses. I will certainly use again, well done, five stars for effort. I received my entire order today - shot glasses, whisky tumblers, clan crests, tartan scarves and ties. Everything was perfect, the descriptions of the products, the quality, the packaging and the timely delivery. 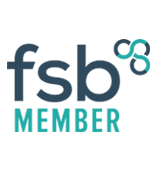 I've used several UK shopping sites in the past and Scots Connections are by far the best, well done!